I qualified at St Thomas’s in 1984 and did my early surgical training in the UK in Bedford and Cambridge, where I worked with Robert Whitaker and developed an interest in Urology and Paediatric Urology. Given the opportunity to work in the USA, I spent time with Jay Grossfeld in Indianapolis and then returned to the UK for a period of research in Cambridge before formally training as a Paediatric Surgeon in Leeds. 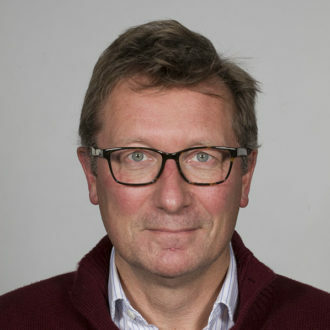 Appointed as a Senior Registrar in Urology with Philip Ransley at GOSH in 1996, I became a consultant there and at the Institute of Urology in London in 1998. As a reconstructive Paediatric Urologist, my main focus has been the management of Hypospadias and Bladder Exstrophy, although I also have interests in Antenatal Hydronephrosis, Posterior Urethral Valves, Neuropathic Bladder and DSD. Travelling extensively around the World, I am a salaried Professor in Aarhus University in Denmark and regularly visit Norway, Belfast, Malta, Iraq and the Middle East to teach and operate. It is a great honour to be invited to give the Storz Urology Lecture at BAPS this year, amongst friends and colleagues. It is also the 20th anniversary of my consultant career and I dedicate this talk to the patients and families who have taught me so much.